$799,900 | 4 Beds | 4 Baths (3 Full, 1 Half) | 4,058 Sq. Ft. Brand New Subdivsion! 1st home in the new, premier Stonehenge Estates. Large, level lot perfect for outdoor entertainment. Upon entering this lovely home enjoy the many featured upgrades and trendy finishing touches. A broad front office/flex room in the front with a full wall of built ins and closed off with French doors offering this room many possibilities and also gets great natural lighting. The foyer leads into a formal dining area with a built in hutch that includes wine storage and granite countertops making it great for hosting guests on the holidays. Being adjacent to the living room with a gas fireplace also adds a warm touch. A magnificent kitchen with custom and glass built cabinetry along with a wet bar, also offers stainless appliances to include a 6 burner gas stove. Black framed Andersen Windows throughout bring in spectacular natural lighting with a modern look. Upper level includes 3 large bedrooms all w/ walk in closets and one to include a private bath and the others a large Jack & Jill bath. Through the double doors into your Master suite also on the second floor, there is hardwood flooring leading to your gorgeous master bath with double vanity featuring a large walk in custom tile shower with freestanding tub. The walk in closet with built in shelving is a must see. Every inch of this 4,058 sq. ft. home offers beautiful craftsmanship that cannot be beat! This private community is conveniently located near Reidenbaugh Elementary, the popular shops and restaurants of Richmond Square and Bent Creek Country Club. BrightMLS 1000312070 Directions to property: North onto Fruitville Pike , Right hand turn onto Stonehenge Drive, look for the new subdivision, home on right. 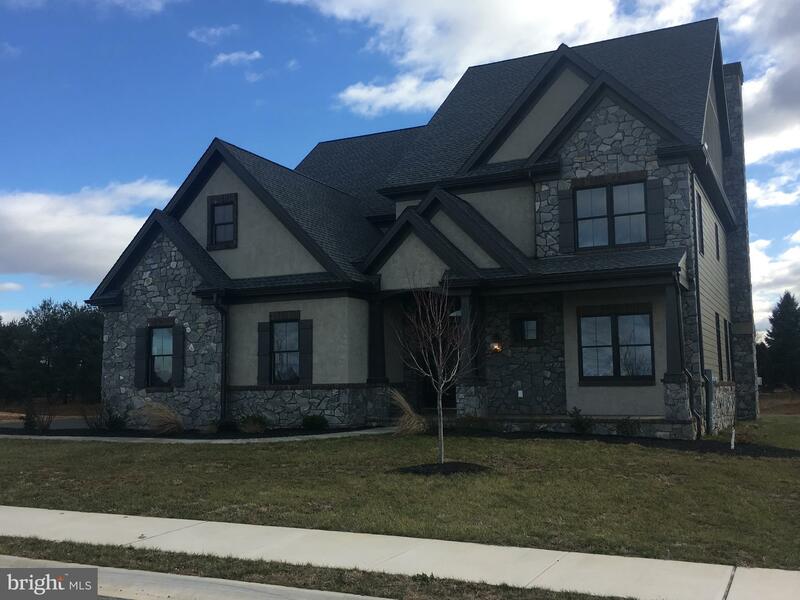 428 SOUTHAMPTON DRIVE, 25, LITITZ, PA 17543, U.S.A.
North onto Fruitville Pike , Right hand turn onto Stonehenge Drive, look for the new subdivision, home on right.